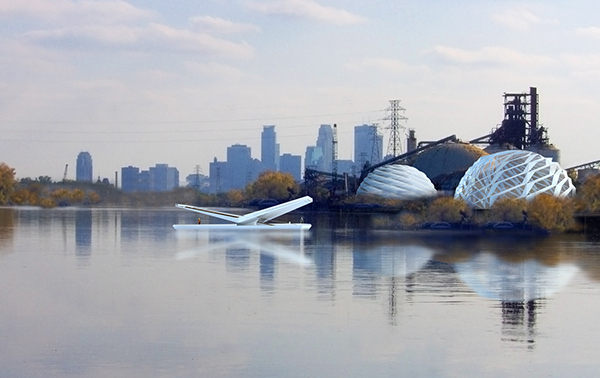 The project re-imagines 5.5 miles of Mississippi Riverfront in Minneapolis, from the cultural riverfront in downtown north to the city limit. 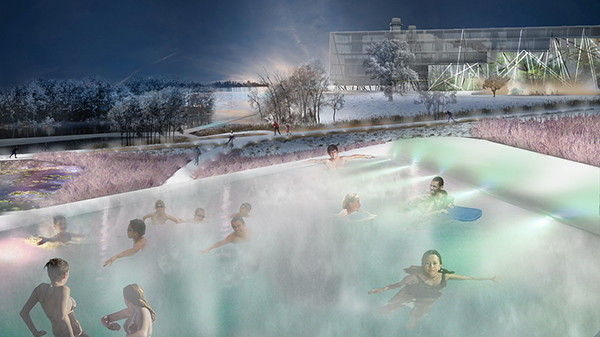 Stoss’s proposal is titled Streamlines; it’s about sheer, unfiltered experience of direct contact with the river and river life, in many ways and at multiple moments. And it’s about weaving these experiences back into the everyday city. 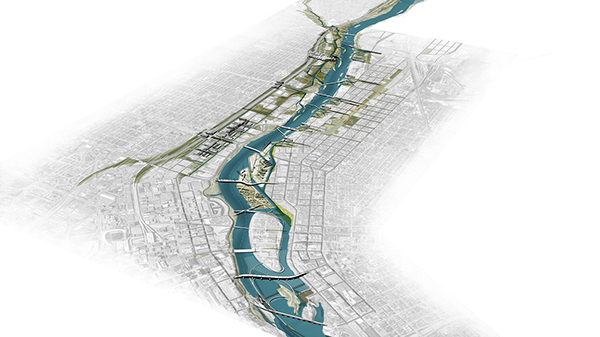 Streamlines is also a project about working ecologies, ecological systems and dynamics put to work to clean, to re-constitute this working riverfront, and to guide a longer-term transformation of the city fabric. But it is not about a single green line along the river. Rather, this project is about multiple threads, multiple strands; it evokes the stories and lives of the people who live, work, and play by the river’s edge and have done so for centuries. It builds from the rich histories and evolving identities of the Mississippi River, the ecological, economic, social lifeblood of the city, and of the continent. 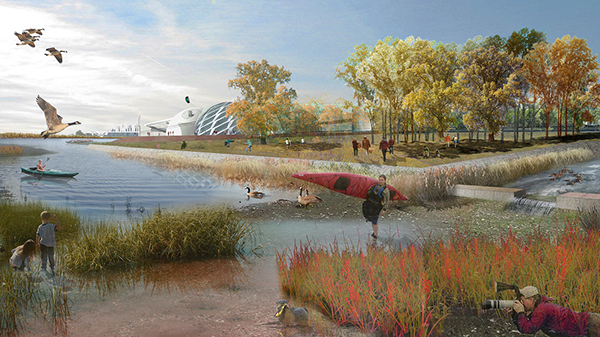 And it puts in place a series of working and operational landscapes, green infrastructures, and landscape-based urban fabrics that will guide this transformation for the next generation of city-dwellers, just as the Grand Rounds did for 20th century Minneapolis. Rafael Lozano-Hemmer - Antimodular Inc.